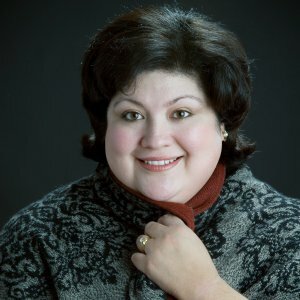 Mezzo-soprano Denise Gamez regularly sings recital, oratorio and symphonic repertoire with orchestras throughout the United States and abroad. She has appeared as soloist with the Indianapolis, San Francisco Opera, Toledo, South Dakota, Columbus Indiana Philharmonic, Terre Haute, and Wheaton College symphony orchestras, and twice performed with the National Symphony Orchestra of Costa Rica under the baton of John Nelson, most recently in Beethoven’s Missa Solemnis this past November. She has collaborated with other conductors including Patrick Summers, Dennis Russell Davies, David Bowden, Delta David Gier, Sherrill Milnes, and Daniel Sommerville in repertoire including Beethoven’s Missa Solemnis, the Verdi Requiem, Mahler’s Songs of a Wayfarer, the Brahms Alto Rhapsody, Mendelssohn’s Elijah, the Bach Saint Matthew Passion, Handel’s Messiah, and de Falla’s Siete Canciones Populares Españolas. At the Merola Opera Program of the San Francisco Opera, where she received the Gropper Memorial Award, she sang Dame Quickly in Verdi’s Falstaff, and Fidalma in Cimarosa’s The Secret Marriage. She was mezzo soloist in the premiere of Daniel Kellogg’s Children of God, commissioned by the Soli Deo Gloria Music Foundation. In recent seasons, she has been a frequent guest artist at the Peoria Bach Festival, operatic and Broadway selections with the Terre Haute Symphony Orchestra, performed Beethoven’s Ninth Symphony with the MasterWorks Festival Orchestra, and the Bach Saint John Passion with the South Dakota Symphony Orchestra. Recently, she appeared as Mrs. Noye in the Wheaton Opera Music Theater production of Britten’s Noye’s Fludde. A frequent recitalist with pianist Daniel Paul Horn, she is a graduate of the Wheaton College Conservatory of Music and the Indiana University School of Music, and is currently a member of the voice faculty at the Wheaton College Conservatory of Music. This entry was posted in Sacred Music 2017 Soloists, Sacred Music 2018 Soloists by Camerata Chicago. Bookmark the permalink.